These falls (cascades, officially) are included in the new (2013) Connecticut Waterfalls guidebook, so I’m adding this page four years after visiting. And since I’m lazy, I’m not going to go find the CD that contains the original pictures to give you the lovely giant waterfall picture you so richly deserve. Since I didn’t know this cascade would make a guidebook in the future, I didn’t spend any time taking proper pictures, so this is all I’ve got. And that’s a shame because these are nice falls. The trail to and from these cascades hold a special place on CTMQ. My description of it for the little CFPA quarterly was one of the first freelance gigs I ever wrote. Moreover, my mention of these falls on my site is what initially prompted the author of the waterfall guide to reach out to me a couple years ago. He recognized me as a resource and we’ve become online friends. I have no idea what’s going on over at the Hancock Brook trailhead these days, but was a mess of construction when I was there in ’09. But once you get into the woods, it’s like Waterbury behind you no longer exists. It’s rather amazing, actually. Hike straight along the path, above Hancock Brook below. 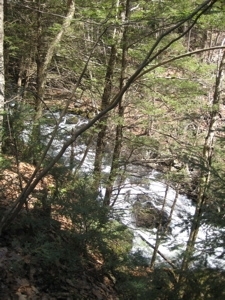 After a little ways, there is an unmarked side trail that leads down the slope towards the brook. This is where you can see the large cascade across the brook tumbling down into it. It’s very pretty, and apparently remains unnamed. But please, don’t just go back to your car! 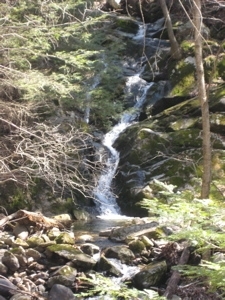 Continue up the trail and you’ll take in more cascades along Hancock Brook itself – the guidebook mentions these as well. But again, please! Don’t turn around and go back to your car! 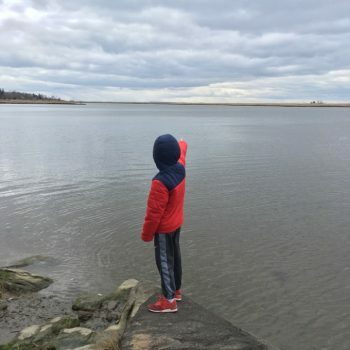 Continue along the trail which will take you up to the top of the ridgeline above the brook and give you some incredible views you didn’t believe possible in Waterbury. This trail, being a loop trail, will bring you back to your car. Don’t fret. This hike will surprise you, I promise. You can read about mine here. Accessibility: Crappy trailhead, but easy walk to the various cascades. If you continue to the views above, you’ll climb and descend a bit. Nothing crazy.